This recipe reads like any normal chocolate chip cookie recipe. The only difference is some lower calorie swaps for high calorie foods. The cookies still contain butter, brown sugar, flour, vanilla, and chocolate chips, so they retain the classic flavors of a chocolate chip cookie. These are moist, more cake-light than chewy, and very light. If you are looking for a chewy, flatter cookie, you may be slightly disappointed. I love chewy, cake-like, and crunchy cookies, so I love these cookies. Part of the moistness comes from the applesauce in these cookies. Don’t let the applesauce run you off scared. You can’t taste the applesauce over the vanilla and chocolate chips. If you don’t want to use applesauce, feel free to use all butter instead! 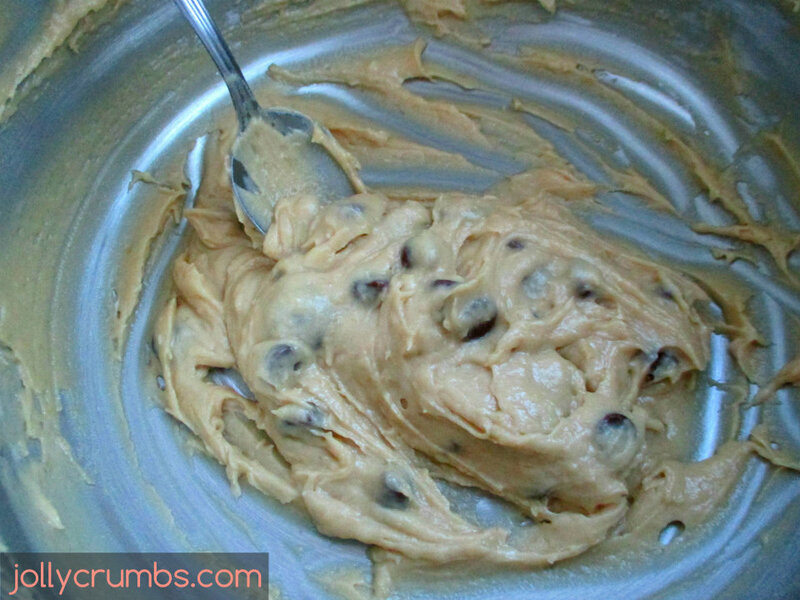 The cookie dough comes together like any typical chocolate chip cookie dough does. Beat the softened butter until it becomes fluffy. Add the applesauce and beat until well mixed. Make sure you use room temperature or slightly warm applesauce. If you use cold applesauce, it will cause the softened butter to clump up and get cold. If this happens, don’t worry! Just mix it a little more and continue with the recipe. It will all come together with the dry ingredients, so don’t worry if it looks runny or weird. Continue to beat in the egg whites and vanilla until those are incorporated. Then add in the Splenda and brown sugar. Make sure to break up any brown sugar chunks in the dough. In a separate bowl, mix together the flour, baking soda, and salt. Slowly add it into the wet ingredients. I added a little flour mixture at a time to the bowl and used my stand mixer to incorporate it before adding more. This is to ensure there are not clumps of flour at a time in the dough. Once the batter is mixed together, stir in the chocolate chips by hand so the mixer doesn’t break them up. 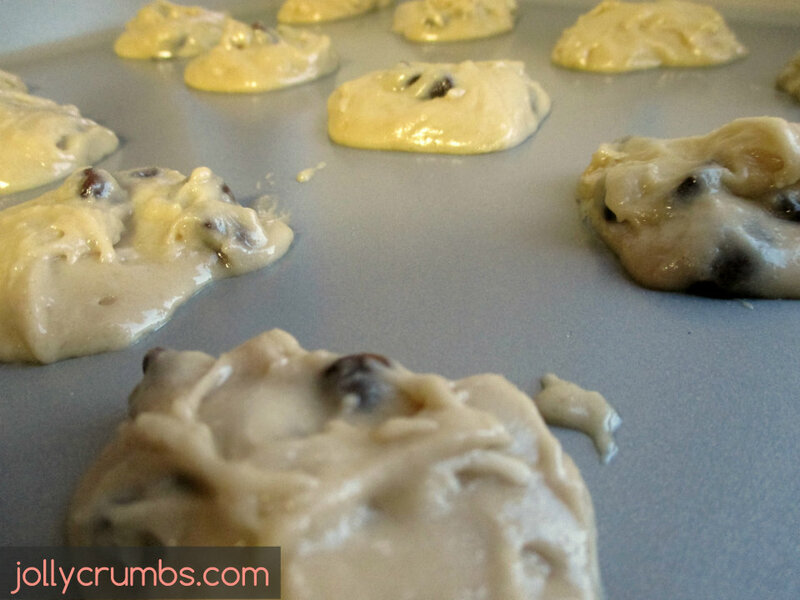 Once the chocolate chips are mixed in, drop the dough onto an ungreased cookie sheet by the spoonful. These cookies spread out a little, so just keep that in mind when placing them on the cookie sheet. These also bake very quick (mine took 9 minutes), so you don’t have to wait long to enjoy! I have kept mine in a plastic zipped bag and a plastic container, and both worked well to keep them fresh for several days. These have the slight vanilla flavor that lets you know these are homemade. They are also sweet and light, so they are bound to please any soft cookie lover. I let them cool on a cooling rack before storing them in an airtight container. These cookies do a fabulous job of hitting the sweet spot. I love chocolate chip cookies. They are one of my very favorite cookies. 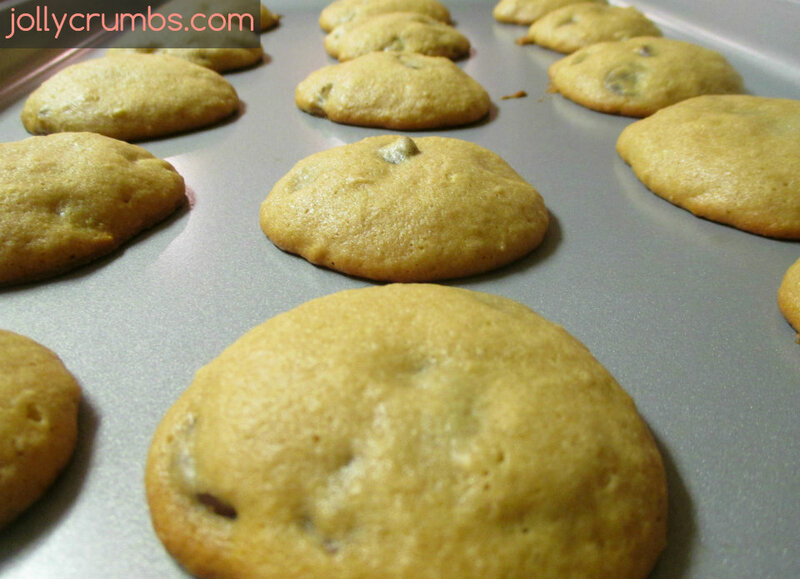 These cookies accomplish the tasks of being low calorie and yummy soft chocolate chip cookie. I could not be more pleased with them. They are very soft and have a cake-like texture. The chocolate chips hold up well, and the cookies do not spread out of control on the pan. The cookies are a golden brown, and are very appealing to look at. The flavors all work well, and I love that these were 77 calories each. They are a very decent sized cookie, so you really get some great, satisfying flavors for not a lot of sacrifice. I hope you try these out because no one will suspect they are low calorie! Beat butter with electric mixer until fluffy. Add in apple sauce and beat again until well combined (see Helpful Tips). Beat in egg whites and vanilla until blended. Add in Splenda granulated and brown sugar until combined. Combine flour, baking soda, and salt in a small bowl. Slowly add to wet ingredients until well blended. Stir in chocolate chips by hand. Drop dough onto ungreased baking sheet. These cookies puff up and spread slightly, so I just dropped them by a spoonful on the sheet. Bake 8 to 10 minutes or until cookies are a light golden color. Remove from baking sheet and cool on wire rack completely. Store in an airtight container or sealable plastic bag at room temperature. Let applesauce come to room temperature before mixing with butter. You can even heat it up some in the microwave before mixing them together. If you use cold applesauce it will not blend well with the softened butter. 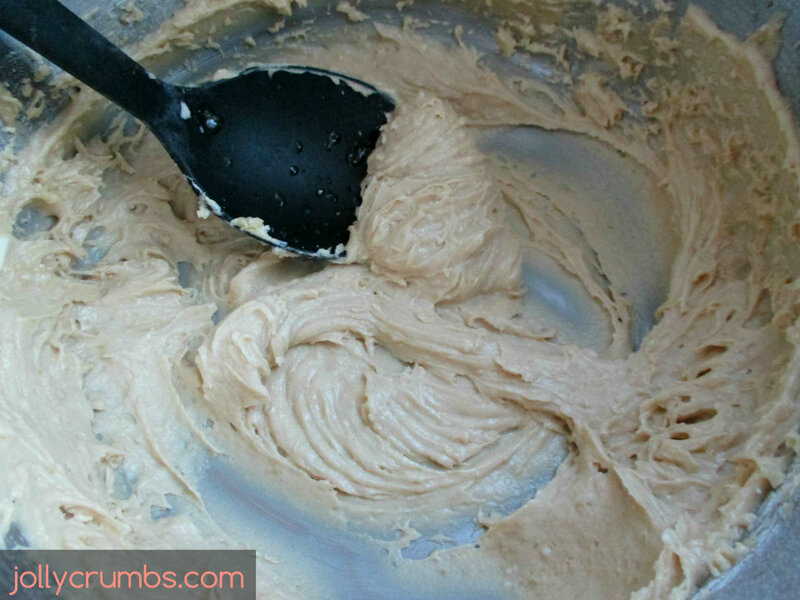 You may end up with a chunky butter and applesauce mixture, but that is OK. It will all come together in the end, so do not worry about chunks.